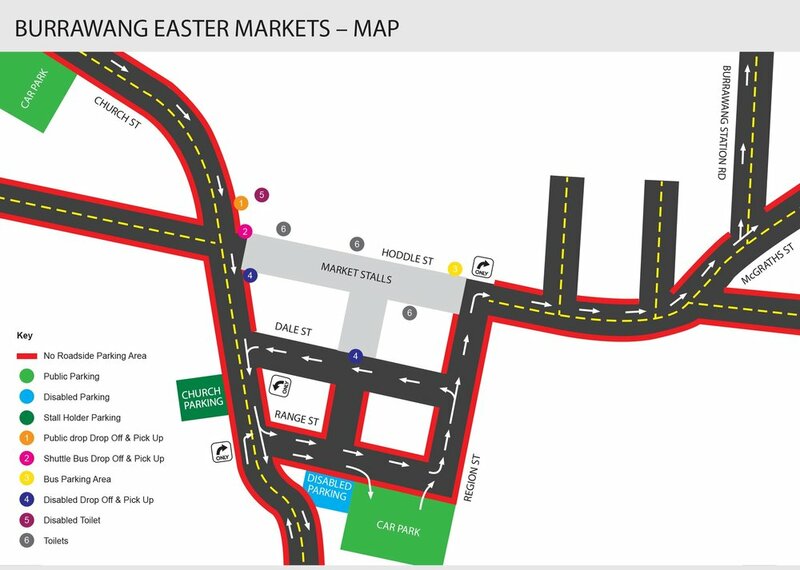 The Burrawang Easter Market is open from 8am until 3pm on Easter Saturday, April 20th 2019. The roads must re-open by 4pm and cars and people don't mix. There are several options for parking, including a disabled drop off. Due to the changed traffic conditions on the day, please check back here closer to the date for specific parking information and how best to access the parking area of your choice. Entry to the markets is free-of-charge however, there is a fee for parking. Please check back closer to the date for parking details. Oval parking $5 per car, village parking $10 per car. WHAT SORT OF STALLS ARE THERE? There is a huge variety of stalls at the Burrawang Easter Market. We take great care to include the best quality goods and produce as possible. There is everything from home wares to sacks of locally grown potatoes. Of course, there are also plenty of food and coffee options available on the day. I HAVE A BUS FULL OF PEOPLE - CAN I JUST TURN UP? If you would like to bring a bus load of people, please contact us well in advance so we can organise a suitable drop off and pick up area if possible. I'M VISITING FRIENDS IN BURRAWANG - CAN I DRIVE? Burrawang Easter Market Association Inc.